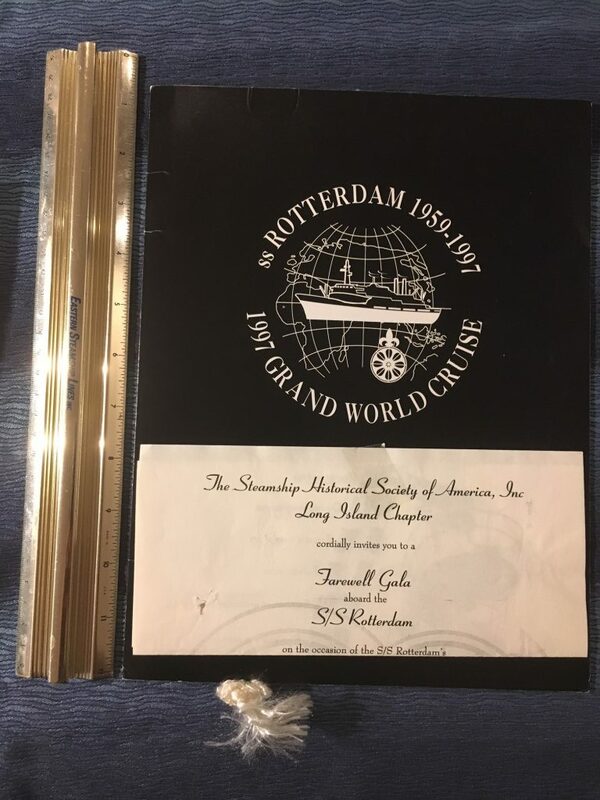 Great menu and simple flyer for the Dinner that was held onboard in NYC for the SSHSA members. The cost of attending was $75 per person. Events includes a presentation in the Theater, the Ritz Carleton room for Cocktails and the La Fontaine room for dinner. An unusual and somewhat rare set of items.